Companies today need comprehensive solutions to handle complex technology challenges. Managing costs, anticipating future growth, and leveraging new and evolving technologies drives many companies to consider cloud solutions. Cloud managed services provide considerable advantages for cost, scalability, and efficiency. When you are looking for a managed services provider (MSP) solution, it’s wise to consider the benefits of cloud hosting vs. on premise MSP. Managed service providers are third-party providers that manage a company’s technology infrastructure or end-user systems. Usually structured in a subscription model, a MSP agreement provides for the day-to-day monitoring and managing of servers and other hardware, software, and applications. Many MSPs also offer help desk services and storage and backup of data and software. When companies need to upgrade or update their hardware or software, the managed service provider will upload and configure the system components to ensure that customers are fully operational. Software patching and firmware installations can be done remotely, allowing for seamless operational uptime. Most MSPs provide a service-level agreement (SLA) that contractually defines the level of services and support provided. These SLAs also often indicate performance measures and guarantees of operational uptime. Typically small and midsized companies are those most likely to invest in a managed service provider agreement. These companies often are constrained in their ability to provide staffing, invest in infrastructure and maintain systems as efficiently as third parties can. The cloud is the most common form on third-party technology hosting. Cloud technologies allow for virtual access to software, easy data storage and retrieval, and adaptability as a company’s demand for services evolves. The other option for companies is to maintain the technology on premises. This requires considerable investment in infrastructure, staffing, and maintenance. For some companies in particular industries, some or all of their technology makes sense to be hosted on premises. In some cases, regulatory requirements bind companies to maintain their own servers, storage, and software on site. Financial services, health care, and government agencies and contractors are among the most common industries with such requirements. On-premises hosting does have a few advantages. If your company is not reliant on uptime or internet access, then you may save from on-premises hosting. However, you will incur the capital costs of hardware and infrastructure and require dedicated IT staff to support the infrastructure you build. 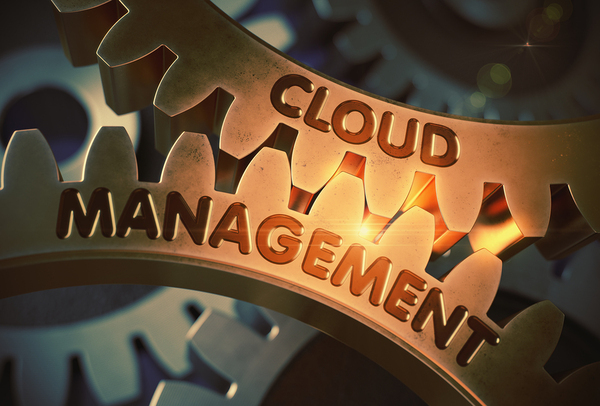 With cloud IT management, your company can adapt and adopt new technologies quickly. Here is a closer look at some of the greatest advantages to choosing cloud hosting over on-premises solutions. When you choose a cloud managed service provider, you’re able to shift many costs into the monthly subscription with your provider. In addition, many costs that typically would be carried as capital expenses – hardware purchasing, for example – will be a part of your operational expenses instead. You’ll save in two considerable areas. With cloud hosting, your staff IT costs may be reduced. You will no longer have to rely on the same number of staff members to manage, maintain and protect your technology. The salaries, wages, and benefits associated with that expense will go away. Your IT staff can be redeployed to more critical, strategic work, rather than worrying about server and desktop maintenance and software installation. You will also not need to pay for costly data center expenses. The costs to build and maintain these centers, where you keep racks of servers and store discs, will go away. In addition, you’ll reduce your utility expenses associated with powering and cooling the space. Advances in automation, sensor technology, analytics, and servers are appearing rapidly. You need to be able to keep up with these changes in order to remain competitive and assess the impact of potential tools on your business strategy. With a MSP solution, you can access these technologies when they become available, without incurring the research and installation costs that can drag on IT projects. You will not need to devote IT resources to bringing new technologies online or learning how to train employees on new tools. Accessibility takes on another dimension with managed services. You’ll gain speed with response times that are faster in a virtual space. Upgrades and updates can be done remotely and scheduled for slow time periods to reduce impact. You need an infrastructure that supports your growing company and its customers. That means having systems in place that are monitored and maintained at all times. It means ensuring that security requirements, such as service packs and patches, are installed properly and consistently across all servers and devices. Your business also has its own schedules, policies, and procedures that need to be adhered to. With a managed service provider as your business partner, you can ensure that scheduled work is done properly and that guidelines for how the work is done and systems are accessed are followed. Automated tools ensure that issues are identified before they become problems and that experienced engineers remedy the solution to minimize the impact on your work. With a single source of truth for your data and applications, your employees and customers will benefit from accessing information that’s consistent. Remote users can access the same information as on-site users using virtual services. Storage and backup management will all be done from a centralized network. Your business is likely to evolve over time. You may need more or less capability. With a cloud managed service provider, you won’t be caught without the capacity to meet necessary growth. In most cases, storage, bandwidth, and other functions can be adjusted quickly in response to your needs. Conversely, you won’t be stuck with internal purchases of unnecessary network capacity. When you have a service provider managing your technology stack, you’ll have service continuity at all levels. Your service provider will provide analytics and recommendation on performance and suggest changes to your services to maximize impact. When you use multiple vendors for your hardware, software and network infrastructure, you face complexity in managing the relationships, contracts, needs, and expectations. If there are issues with your vendors, your managed service provider will contact them on your behalf to resolve issues. While it’s not pleasant to think about, the reality is that businesses face considerable risk from natural disasters and bad actors committed to infiltrating your system. With managed disaster recovery services, you do not need to worry about physical damage from natural disasters such as hurricanes, floods, tornadoes, fires or earthquakes. Your data and systems will be housed virtually, often in a different region from your home location. In addition, your data will be backed up automatically and in multiple locations. In the case of a natural disaster, you can focus on the safety of your employees and the condition of your business. When it comes to keeping your technology safe and secure, there are multiple layers at play with a managed services solution. First, your data and systems will be monitored constantly. Patterns or unusual activity will be flagged and addressed before systems or data are compromised. Threats to the system – from malware to deliberate denial of service attacks – will be met head-on. With cloud systems, you also do not need to worry about physical security for your data center. And the locations of a managed service provider’s data centers will be protected by both physical and virtual protections. With dedicated help desk services, your technology issues can usually be solved remotely. Your customers and employees will gain peace of mind when problems can be solved quickly with remote access to devices and servers. Expertise. Your service provider should have extensive experience with cloud technologies in your industry. Ask if the company is an approved partner for the technologies you use and have the certifications to ensure it is compliant with vendor best practices. Flexibility. Be sure to understand what options your company has once in agreement with an MSP. What partnerships are available with vendors or other cloud providers and how will the MSP integrate with these other entities? Security. Know the physical and technical security protocols that are in place to ensure your data and applications are secure at all times. To learn more about how Denovo provides your company with a comprehensive cloud-managed solution, schedule a free consultation.